Welcome to Thorns Primary School. Safe, happy, learning: the three words that describe our aim for every child. I am very proud to be the Head Teacher of such a lovely school! We offer a safe, secure and welcoming environment in which all can thrive. Our children are a delight: happy, well-behaved and hard-working. They are well supported by a team of dedicated staff, who work extremely hard to do their best for every child and make their time at Thorns happy and successful. We are a diverse school community and we embrace this; it makes life here more exciting! Here we aim to provide our pupils with opportunities not only to reach their academic potential, but to develop as whole people, ready to move on to the next stage in their school career well-equipped and confident. As well as a rich and varied curriculum, we offer a range of extra-curricular activities and enrichment experiences including trips, residential visits and visitors to school. Pastoral support is very important to us and our ethos is a nurturing and caring one. 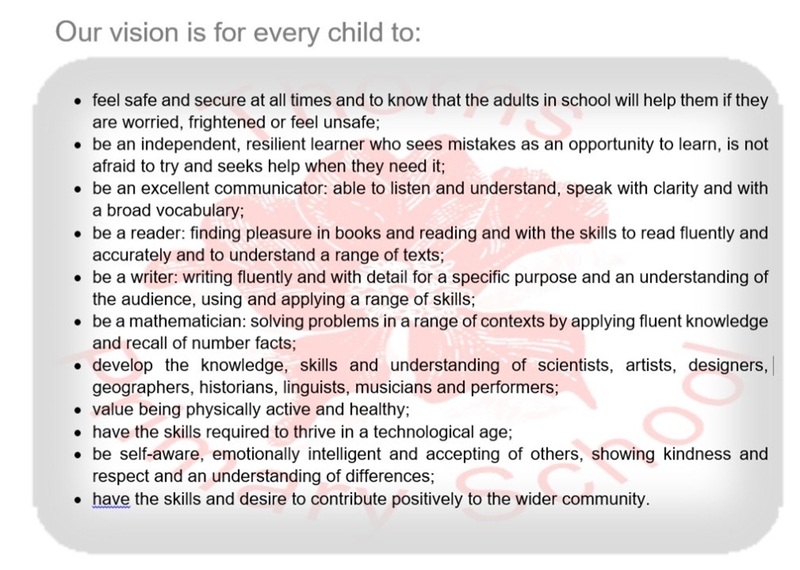 As an inclusive school, we recognise that not all children find school life easy and aim to support them, meeting their needs with sensitivity. Family relationships are important to us and we recognise that children will do best if home and school work in partnership together. We encourage parents and carers to speak to us with any questions or concerns and will always do our best to listen and respond. We are a community together, and as such, children, staff, families and governors have a role to play. We offer a Breakfast Club daily from 7.40am. This provides an active and healthy start to the day and is run by a qualified sports coach, with a selection of breakfast options available from the kitchen. Please contact the school office if you would like more information. If you would like to know more about our school please contact us to arrange a visit and we will happily provide you with a guided tour, where we are sure you will love it - just as we do!